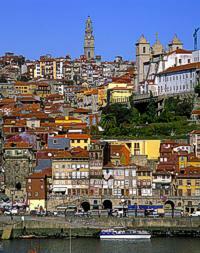 Oporto's urban network underwent a quick expansion in the 19th century, including several peripheral rural areas. On the other hand, however, the Historic City Centre began to deteriorate, thus affecting the local population's quality of life. After some unsuccessful attempts to solve this serious situation, the political changes in April 1974 gave new impetus to the revitalisation process of the Sé and S. Nicolau areas. 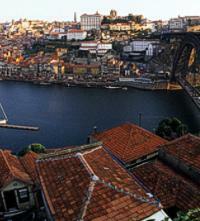 The project has recently included two other boroughs - Vitória and Miragaia. The Municipality of Oporto combined its efforts with some institutions specialised in this kind of project and designed a vast reconstruction and revitalisation programme for the Historic Centre, which comprises not only urban and architectural but archaeological, social and cultural aspects. The re-qualification of public areas and supporting structures to the local population has gained particular relevance, which have over a hundred equipment units as well as socio-cultural projects. Also, a comprehensive project for the refurbishment of decayed buildings and monuments has been launched. Aware of the importance of these initiatives for the city and the advantages of international support for the consolidation of this process, the Oporto City Hall put forward a formal candidature to UNESCO for the classification of the Oporto Historic Centre as Heritage of international importance. The process started in 1993 and was given a decisive impetus in 1996, when UNESCO's World Heritage Committee gave its approval. The candidature was organised by CRUARB (Municipal Project for the Urban Renovation of the Oporto Historic Centre), together with several specialised City Hall departments. The classified area encloses the medieval borough within the 14th-century Romanesque wall. 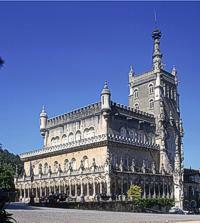 It contains the oldest buildings in the city, as well as typical streets and attractive public areas. 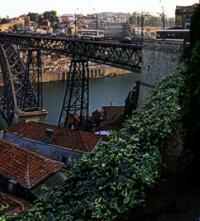 Since the development of Porto was closely connected with the left margin of River Douro, the proposal included the highly significant Luis I Bridge, built by Theophile Seyrig, a disciple of Gustav Eiffel, and the prominent building of the Augustinian Convent of Serra do Pilar. 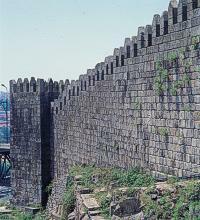 The protection area corresponds to the former outskirts of the medieval city on both sides of the river. 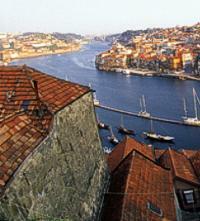 In Vila Nova de Gaia, this area includes the amphitheatre-shaped coast where the Port wine cellars are located. On the north margin, it comprises the ancient borough of Miragaia, the northern belt whose renovation was begun in the 18th century, the ancient area of Santo Ildefonso, the slopes of Guindais and the terraces of Fontainhas which descend towards the River Douro.